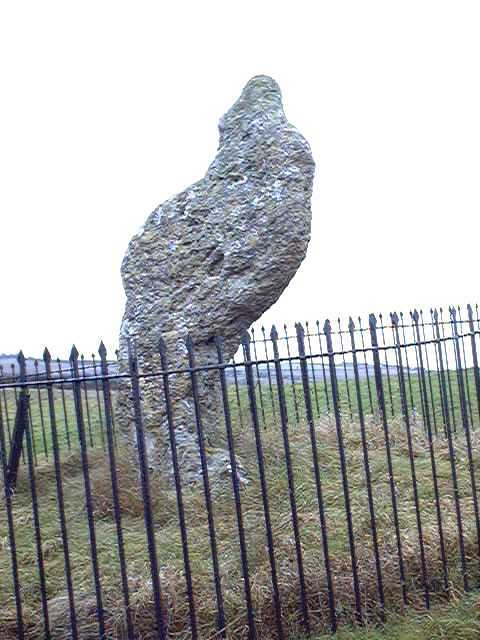 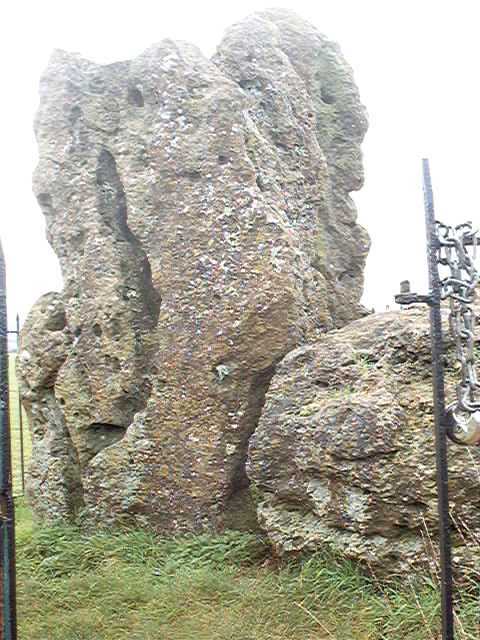 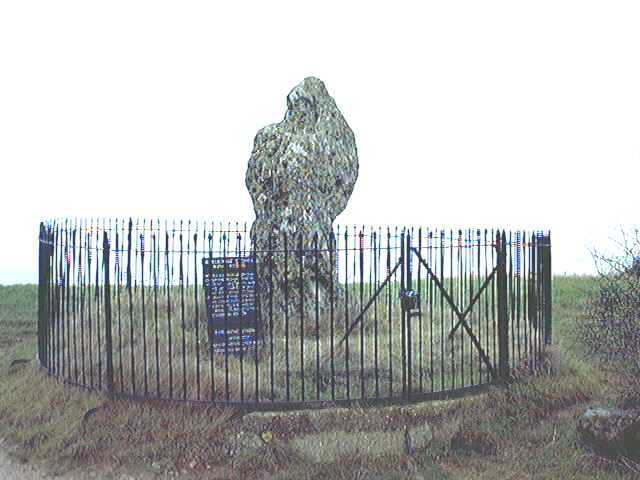 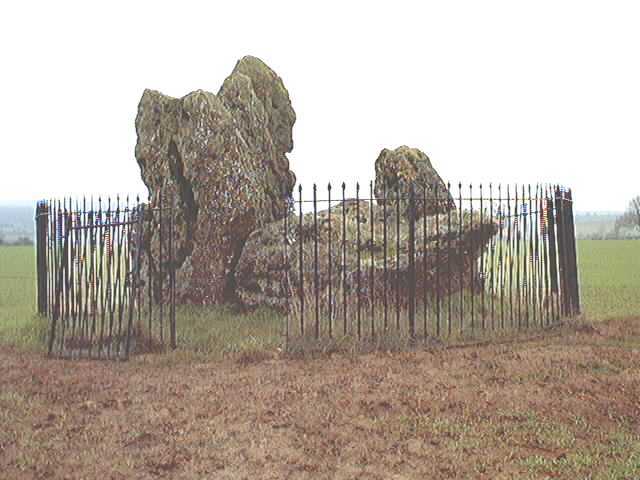 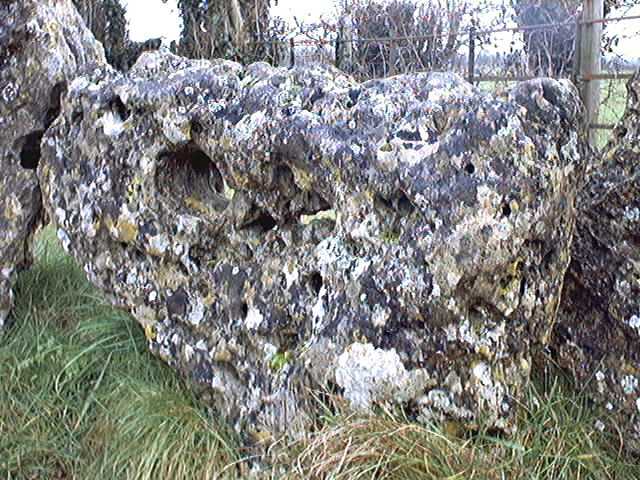 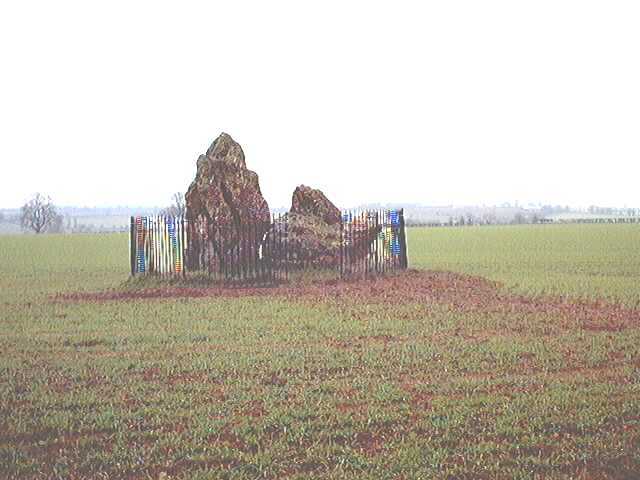 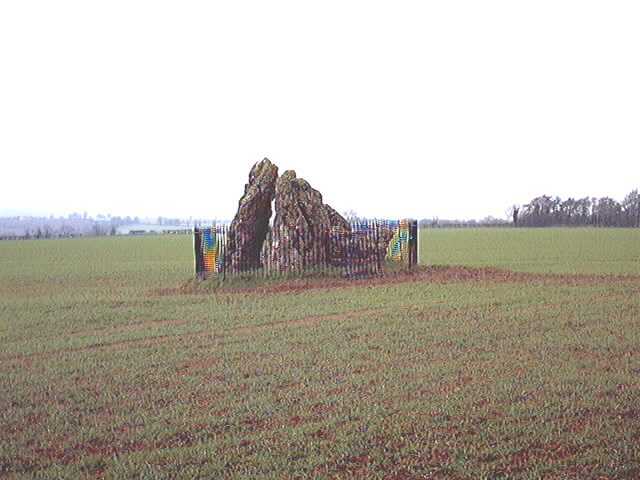 The legend of the Rollright Stones says that the outlier is a king turned to stone by a witch who owned the land over which he and his men were marching. 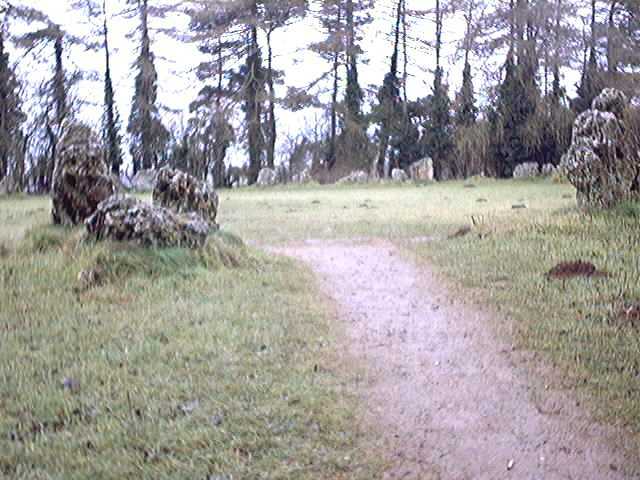 "Go forward," she told him... "Seven long strides shalt thou take. 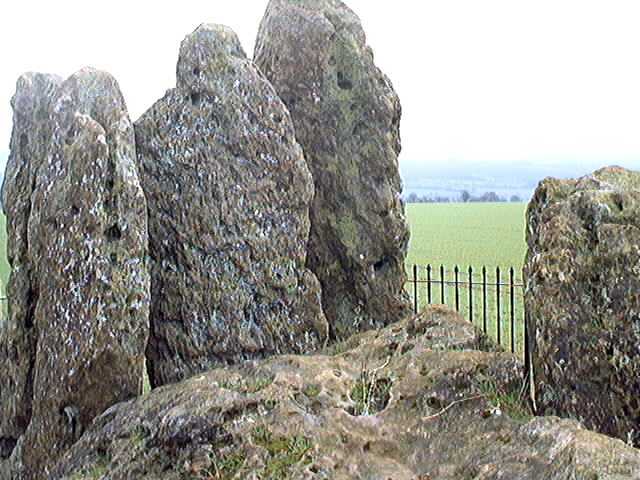 If Long Compton thou canst see, King of England thou shalt be." 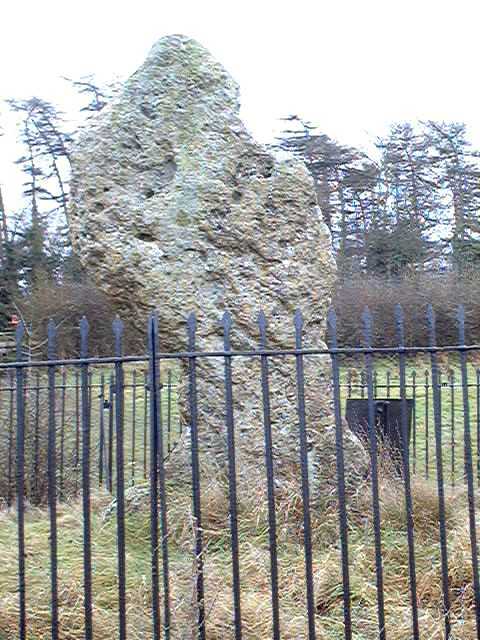 The King answered, "Stick, stock, stone, as King of England I shall be known." 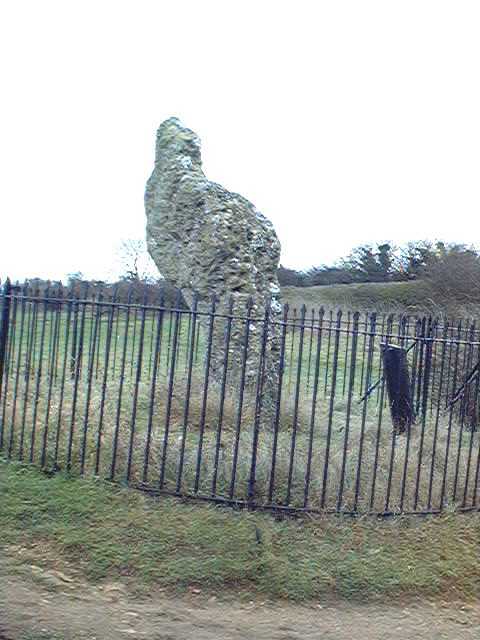 But a mound on the slope between the King and the village of Long Compton cut off his view, and the witch cried triumphantly, "As Long Compton thou canst not see, King of England thou shalt not be. 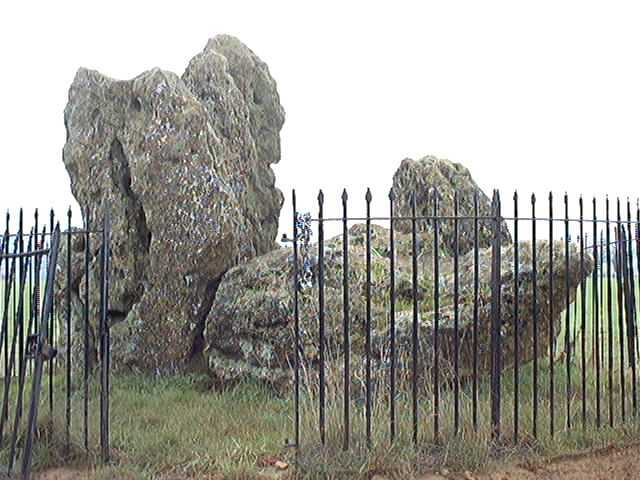 Rise up stick, and stand still bone, for King of England thou shalt be none. 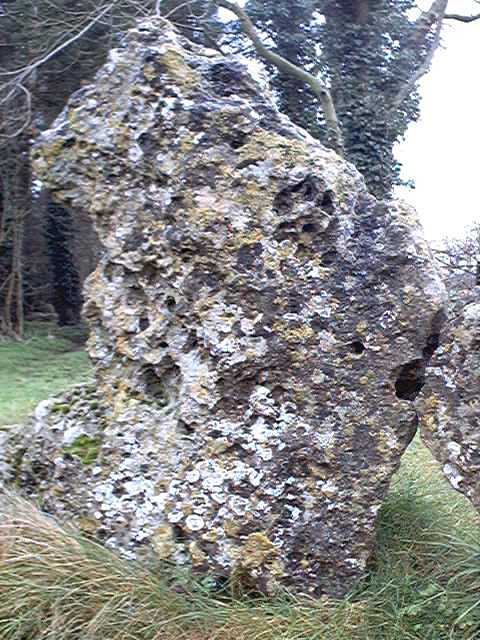 Thou and thy men hoar-stones shall be, and I myself an eldern tree." 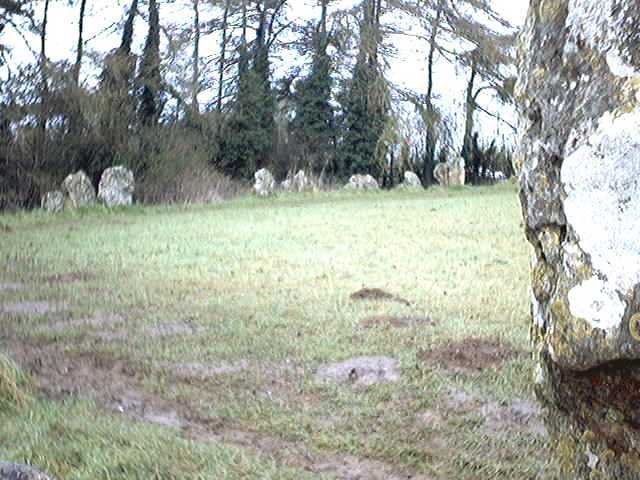 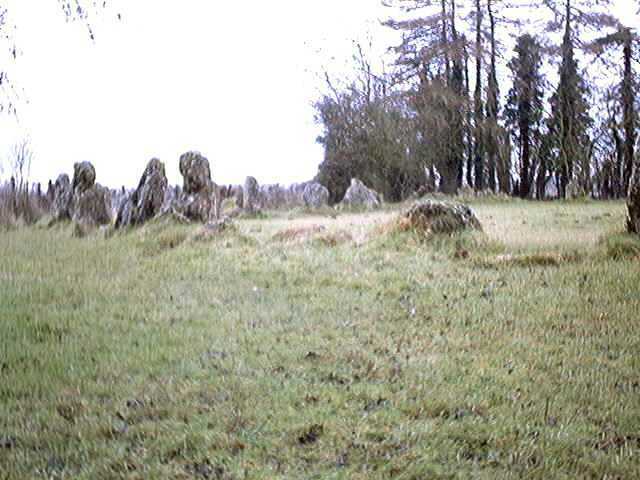 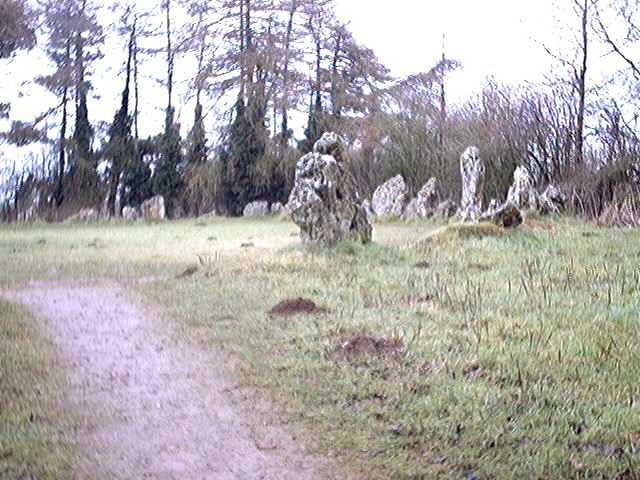 When I visited the stones to take these photos, on a cold and damp January day, there wasn't any evidence of them moving anywhere... in fact there weren't many signs of life in the area; I only saw two other visitors, and they didn't stay long! 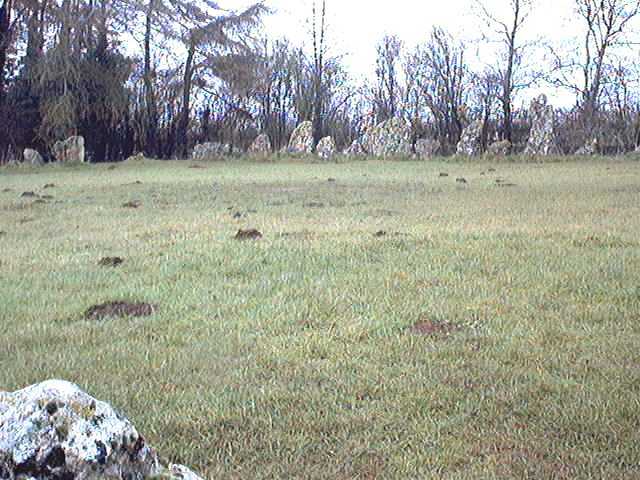 The stones, stumps and lumps of the circle, between 70 and 80 in number, some so small they are nearly lost in the grass, are arranged in a more or less perfect circle about 105 feet in diameter. 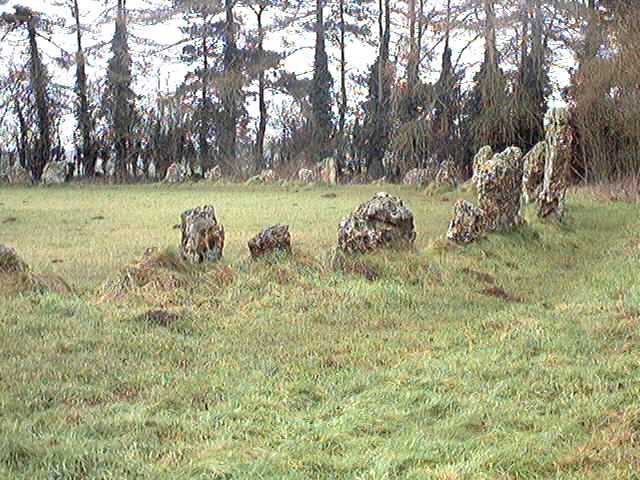 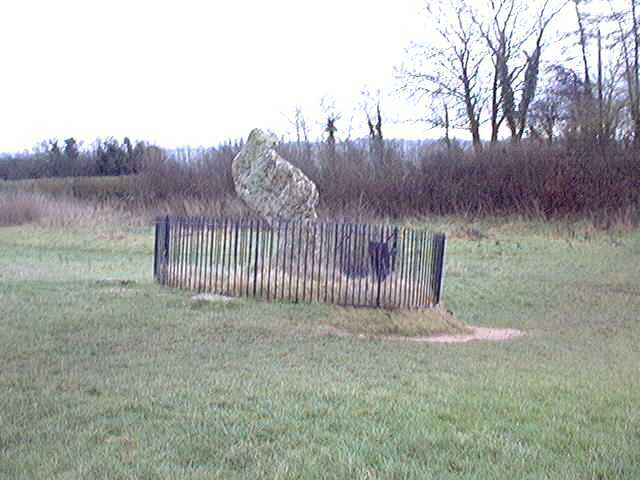 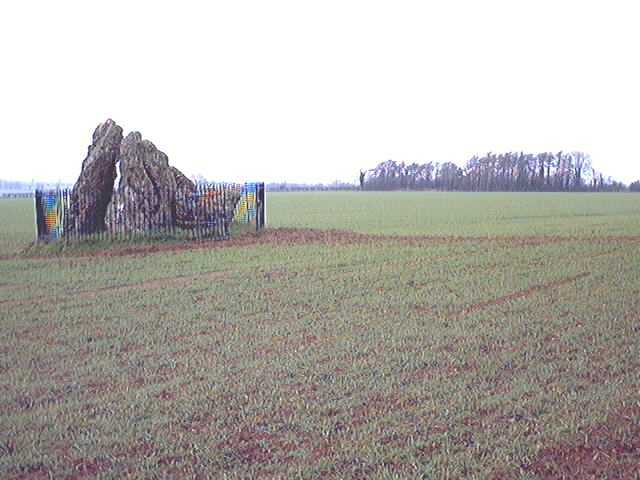 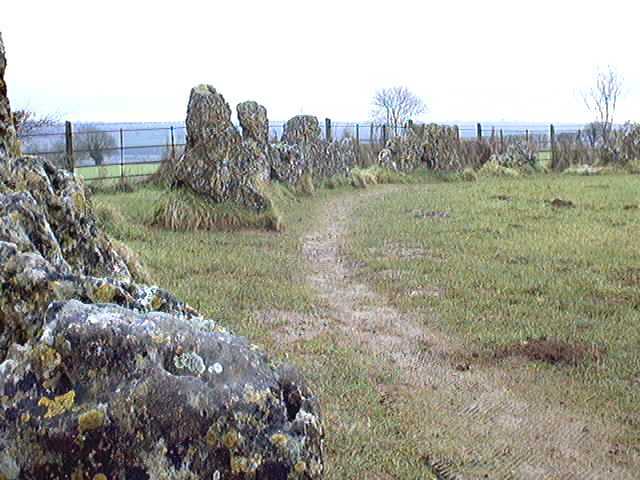 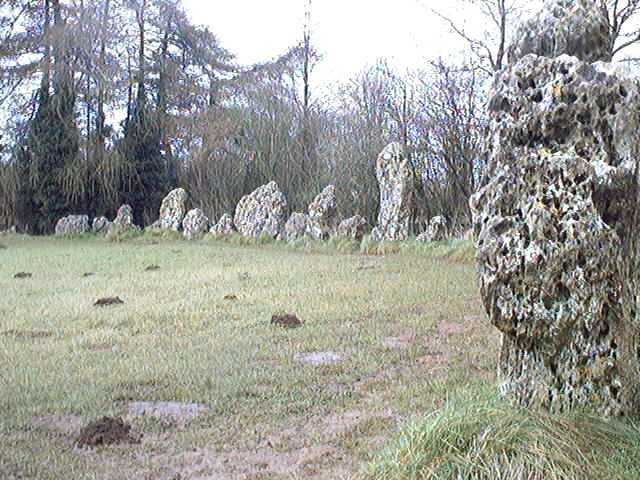 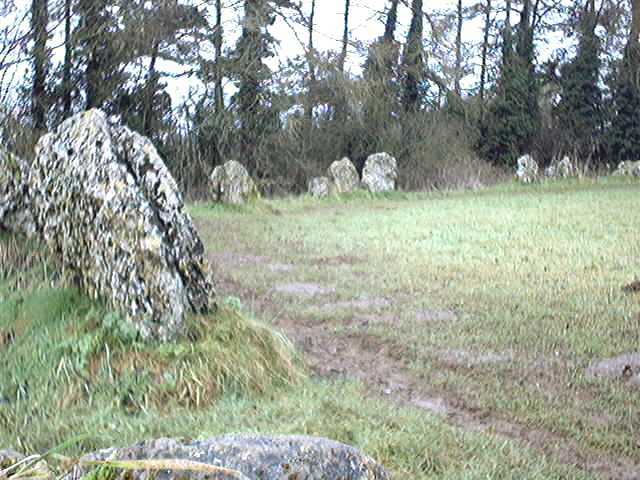 Although local legends claim that the stones cannot be counted, the circle may originally have consisted of no more than about twenty two tall monoliths. 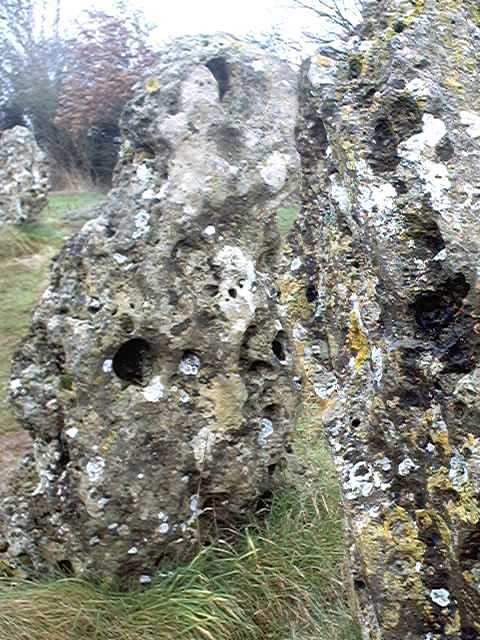 Centuries of weathering have eroded them into fragments. 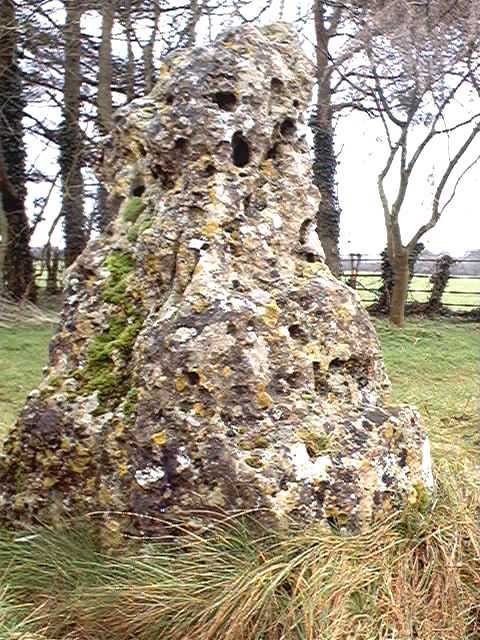 Many of the manageable pieces were removed for building, but before the late nineteenth century others were replaced in convenient gaps around the circumference, creating the neat confusion of today's monument, like a huge ring of rotten teeth... or like "worm-eaten wood corroded by the harsh jaws of time" as Stukeley described it. 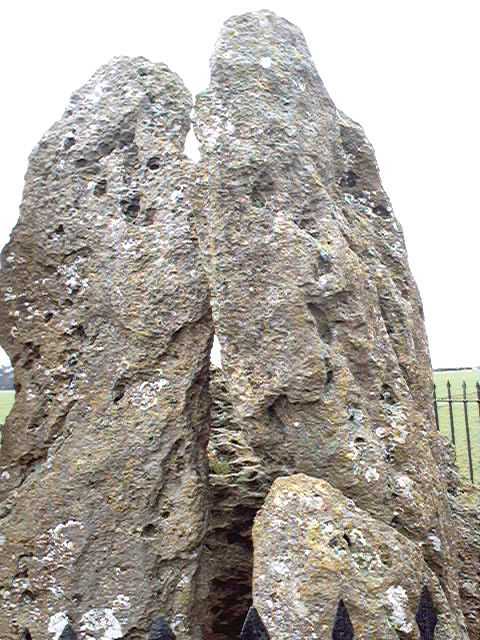 For a bewitching virtual tour of the Rollright Stones, courtesy of the BBC, CLICK HERE! 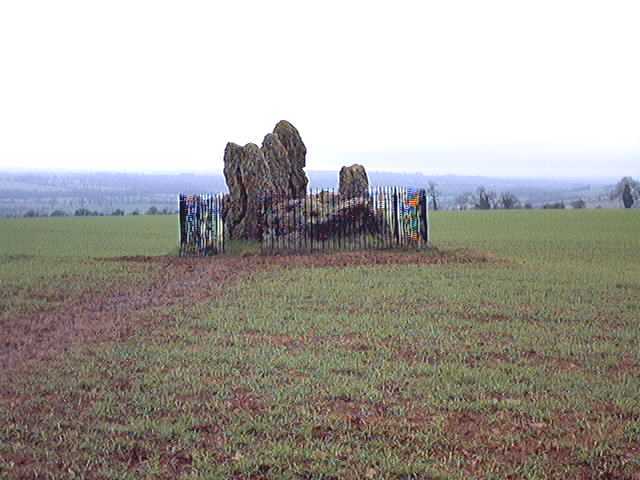 Need transport in the Cotswolds? 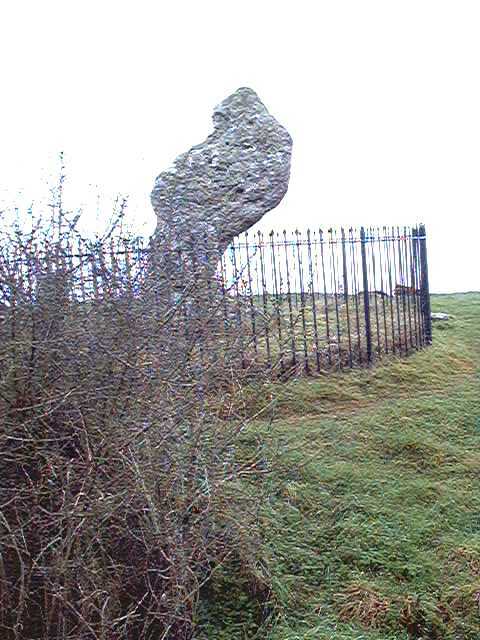 You can hire a car and driver from George Hill Private Hire.